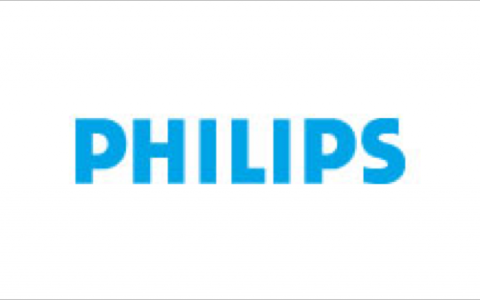 Philips is one of the largest electronics companies in the world and employs more than 100,000 people across more than 60 countries. When we began working with Phillips, the organisation faced some significant challenges including increasing competition, a mature market, and escalating competition for top talent. While the organisation had experienced strong sales growth in previous years, customer satisfaction had stalled, and employee engagement was heading in the wrong direction. Several acquisitions had taken their toll, the strategic agenda was not well understood, and internal processes were taking precedence over customer service. The CEO and executive team determined that the strong financial performance was not sustainable, and together we embarked upon a change process to address the leading indicators of performance. In the first phase of our work together, we did a thorough diagnostic to determine the gaps to the vision and strategy, engaging with the top three layers of leadership. We translated our findings into a road map for change, and created commitment among senior leaders to the recommendations. To conclude this phase, we worked with the executive team to turn the values into standards, and embed them at all levels of the organisation. In the second phase, we sharpened the strategic content including the vision and objectives, and developed a balanced scorecard to measure progress. We measured the leadership effectiveness of the top two layers, and executed a series of 1-1 and team interventions to close the identified gaps. In partnership with HR, we conducted a comprehensive review of the people and performance systems, which resulted in a number of changes to better align them to the strategic agenda. Finally, we supported an organisational re-structure to better align the local business to global needs. In the third and final phase of our work together, we revitalised a small number of strategic initiatives, embedded a new governance framework, and transferred key capabilities into the organisation so that our work together would be sustainable in the years ahead. The goal of our engagement was to address the leading indicators of performance, in order to encourage the sustainability of financial results, and that’s exactly what we achieved together. Leadership effectiveness increased measurably and significantly across the top two layers of the organisation. Employee commitment increased across the board. The governance framework we developed together enabled much greater speed of execution, and the alignment of performance systems to the vision ensured all of these results were achieved with much less effort. “The evolution of a strong and intimate partnership, combined with the process expertise of TAP, has enabled us to develop strategic content and initiatives that are both understood and owned by our organisation. As a result, we have a clear roadmap for execution of our Purpose, Vision and Balanced Scorecard. TAP helped us to refine our core value proposition in order to deliver true value through an aligned focus on operational excellence, simplification of processes, and elimination of waste. Our ongoing work towards creating and sustaining a constructive culture and leadership impact has enabled the Executive Team to recognise the cause and effect of their leadership strategies, and understand the link between leadership and business outcomes. As a result, I have witnessed a more positive, excited, and forward looking team with the ambition to succeed collectively.